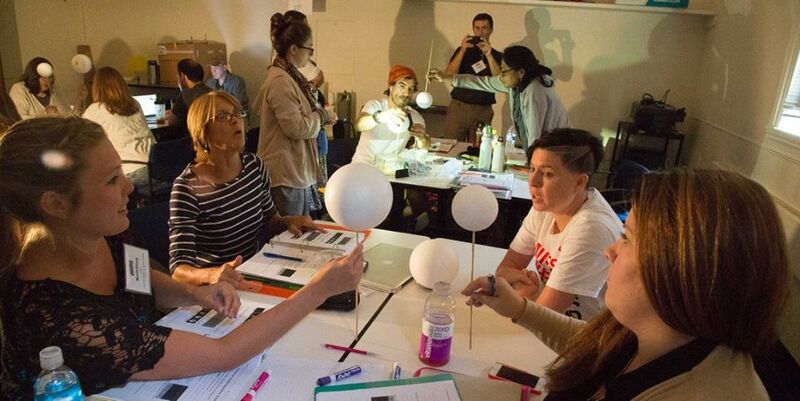 Come learn a fantastic approach known as Modeling Instruction™ and how it can help improve and deepen your students’ understanding of crucial concepts in physics. This workshop will immerse you in Modeling Instruction™ so that you can develop the skills necessary to implement this student-centered, research-informed, standards-based curricular approach with your students. As a participant, you will spend time observing instruction from the point of view of a student (“student-mode”), as this is a key component in reinforcing the intertwined content knowledge and pedagogical content knowledge. You will engage in thought-provoking, pertinent experiments that you can utilize in your own classroom. Periodically, we will switch to “teacher-mode”, to uncover and examine through readings and discussion the pedagogical rationale for all aspects of Modeling Instruction™. We’ll also discuss strategies for accommodating various student populations, class schedules, testing requirements, and laboratory resources. The workshop will develop and focus on fundamental physics models (Constant velocity; Uniform acceleration; Free particle (balanced force); Constant, unbalanced (net) force; Constant vertical and zero horizontal acceleration particle (projectile) motion; Circular motion; Momentum transfer; and Energy transfer) while utilizing a process-oriented inquiry approach; data collection, pictorial representations, graphical representations, algebraic representations, and discussion that proves to be extremely effective in helping students of all ability levels develop independence and problem-solving skills.